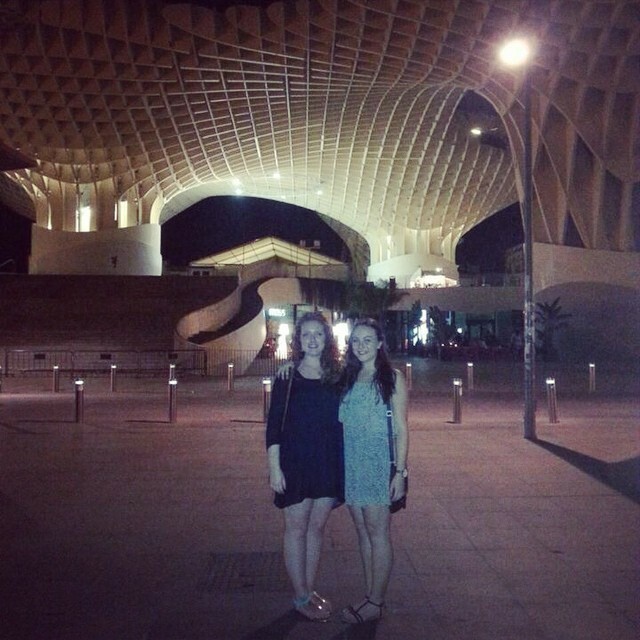 The week after I left for Seville, my sister turned 18! I was gutted I couldn’t be there, but for her birthday our parents bought her a plane ticket to come and see me during her October half-term holiday from school, so a few weeks ago, she flew out to see me and we had an awesome time! She stayed for a week in total, and we had a fab time. It was really great to see her, and I’m pretty sure she really enjoyed her time here! Although it was generally a pretty lazy week, we got up to quite a lot of stuff! The most memorable was probably bleaching, dyeing ruining and re-dyeing my hair! I wanted to dye the underneath purple, but it came out really dark and was an awful comparison with my natural hair on top, so we dyed over the top with a dark chocolate brown. During the week, we ate out quite a lot (sorry bank account), but we went to some really nice places that I had never been to before, and also a place that I had been to before but enjoy too much to not take my sister. I introduced Sarah to tapasa and tinto de verano of which she loves both, particularly patatas bravas! We went to a super cute American diner called Peggy Sue’s that I had been wanting to try for a few weeks and that we enjoyed so much we went twice in the whole week. It had a really cool (free!) jukebox system with a jukebox on each table that meant you could choose the songs that played in the restaurant. Needless to say we dominated the playlist during both visits! We also went to a super nice restaurant in Las Setas where Sarah had paella and I had a really nice cod dish (I forgot the name, sorry), we got free after dinner shots (I believe they were a digestif?) from the waiter that was hitting on Sarah. Last and by no means least, I took Sarah to 100 Montaditos, one of my favourite things about Seville! Our whole meal cost less than 15 euros (for both of us!) and that included two big glasses of tinto de verano! Needless to say, we ate pretty well that week! First legal drink with her sister…tinto de verano! 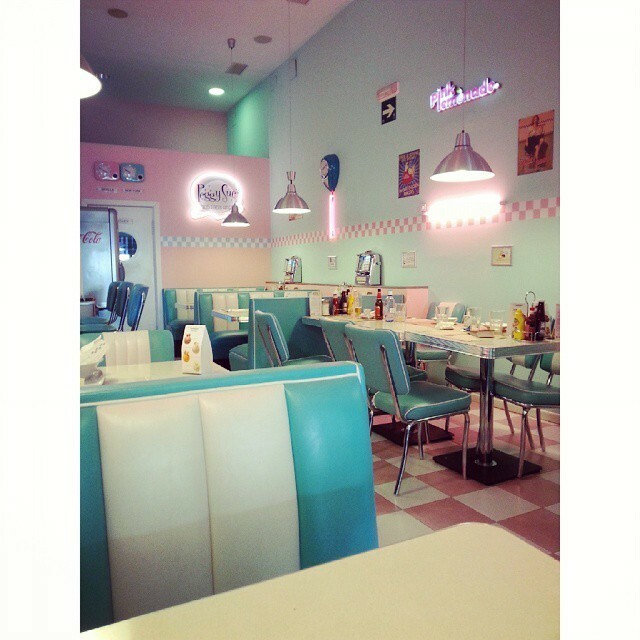 Peggy Sue’s – so cute! 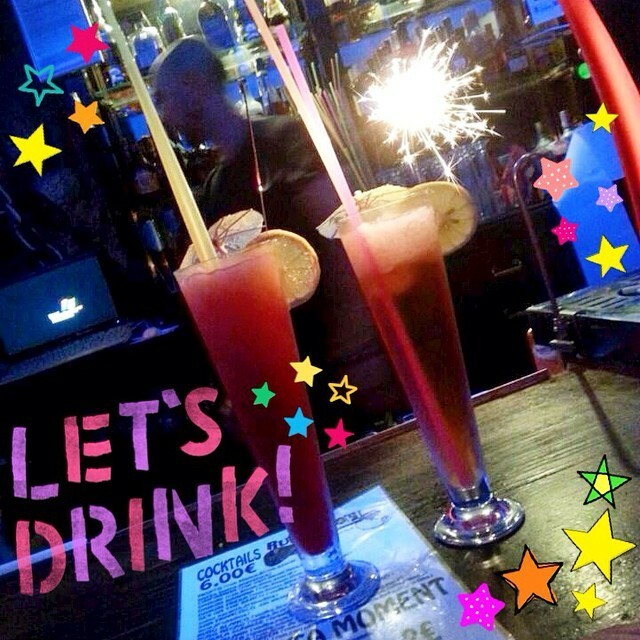 As well as eating out a lot of the week, we also went out partying a few times! The Friday night, we went to Alfalfa with my flatmate Cristina for a few drinks at bars Ruko’n’Roll and Bare Nostrum, then wandered up to the Metropol Parasol and took some photos! On the Saturday we went to Abril, a club 30 seconds walk from my flat, with my Spanish friends. We had lots of fun! The mix of music in Abril is more like an English club, so it was fun to be able to sing along to some much I know! In between all the eating and partying, we managed to do some nice touristy stuff (and shopping, yay!) and the last full day before Sarah went home we spent in the city centre seeing the sights. Besides just getting a general look at the city, we visited the Real Alcázar, the King’s palace here in Seville. It was absolutely stunning, and what made it more exciting was that the had just recently stopped filming there for the upcoming season of Game of Thrones which Sarah and I both watch, so it was fun to walk around and trying to guess which parts of the palace and grounds would be in the new season! Afterwards, we got some lunch and then hopped into a coche de caballo, a horse and cart, for an hour tour of the beautiful city centre. Our driver was really nice, and explained all the sights to me in Spanish for me to then explain to Sarah. We loved it! That about sums up our week together! I had an awesome time with my sister, and it was really nice to have such a familiar face with me even for just a short time. I know I enjoyed myself to the max, and I’m pretty sure she did too. Can’t wait to do the same in Paris next time! Love you sis, Happy Birthday (for two months ago, hehe) and I’ll see you soon! It’s now less than four weeks until I go home and I couldn’t be more excited! I am off to Madrid this weekend, and I have two other trips to write about, so expect some more travel pictures soon! "Granada: Friend, Films and Food!"